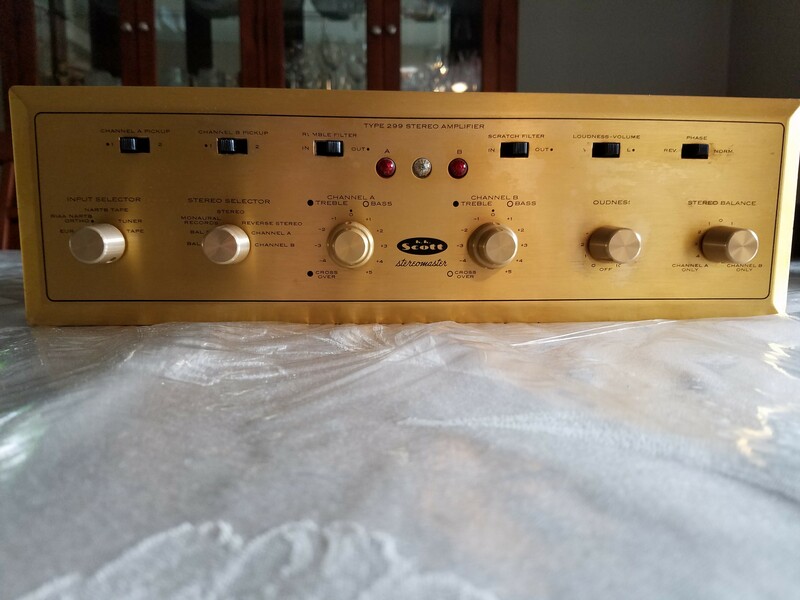 HH Scott 299 stereo integrated amp *****FULLY RESTORED*****. Ready for everyday use. New filter caps, coupling caps, 3 prong power cord. NOS Soviet 6N14N's.